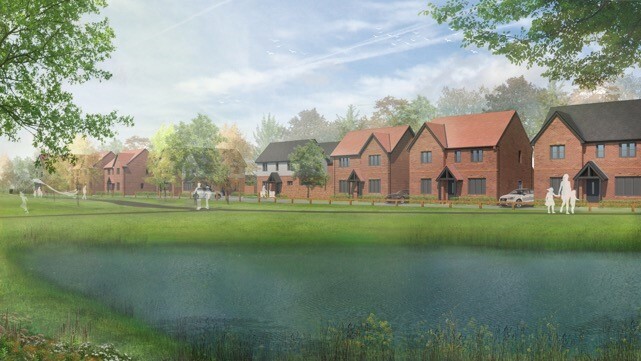 The first phase of homes at a major mixed-use development near Solihull has been given the go-ahead. Solihull Metropolitan Borough Council’s planning committee on Wednesday 11th July voted to approve the developer’s application for the site, and construction work is expected to get underway in the autumn. The 170 homes being built by Bloor Homes represent the first phase of residential development at Blythe Valley Park, a mixed-used scheme which is set to break the mould for business parks in the Midlands by combining commercial, leisure and residential uses on one site. Outline planning consent for 750 homes, 98,800 sq metres of employment floorspace and a 250-bed care facility was secured by IM Properties, the company behind the scheme, in March 2017. Several blue-chip companies, including Gymshark, Infor, PKF Cooper Parry, Siemens and Zenith, are already established at the business park, while recent additions include independent coffee shop Java Lounge, Virgin Active Health and Busy Bees nursery. The first phase of 170 homes will be built on a 4.9 hectare site located in the south west of Blythe Valley Park, and will comprise a mixture of one, two, three and four-bedroom properties. A total of 43 of the homes will be provided as affordable housing for social rent and shared ownership, while IM Properties will be making a contribution of £228,004 towards local services and infrastructure through the Community Infrastructure Levy (CIL). “We have worked very closely with IM Properties and planning officers at the Council to design a high quality and attractive new neighbourhood with a village character, and we are pleased to have secured detailed planning permission for our proposals.“The homes at Blythe Valley Park will be built using a combination of traditional materials, including red brick and a mix of grey, brown and red roof tiles, whilst at the same time boasting stylish modern interiors and contemporary open-plan layouts.